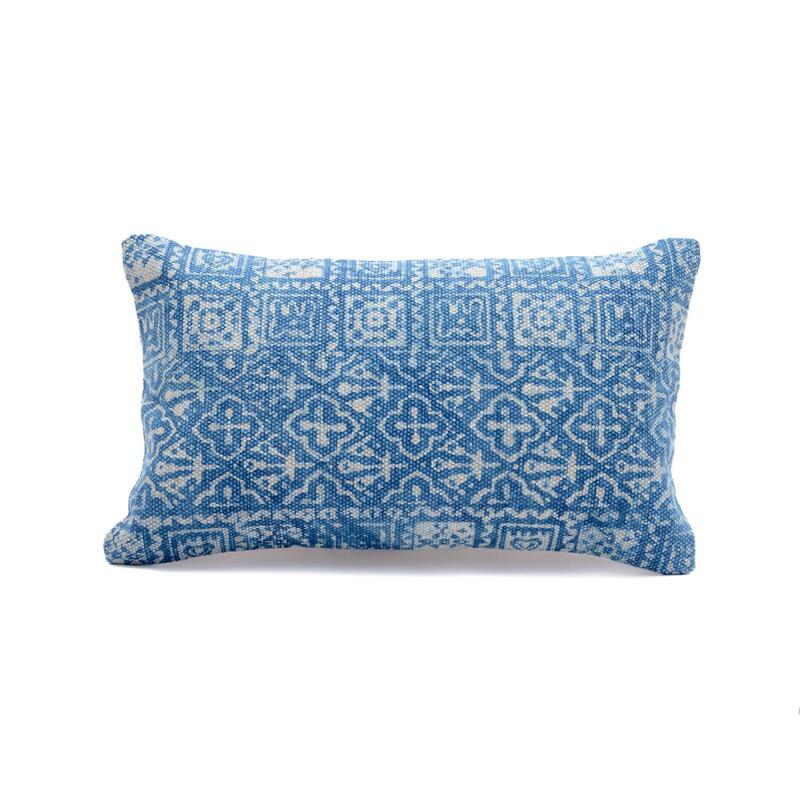 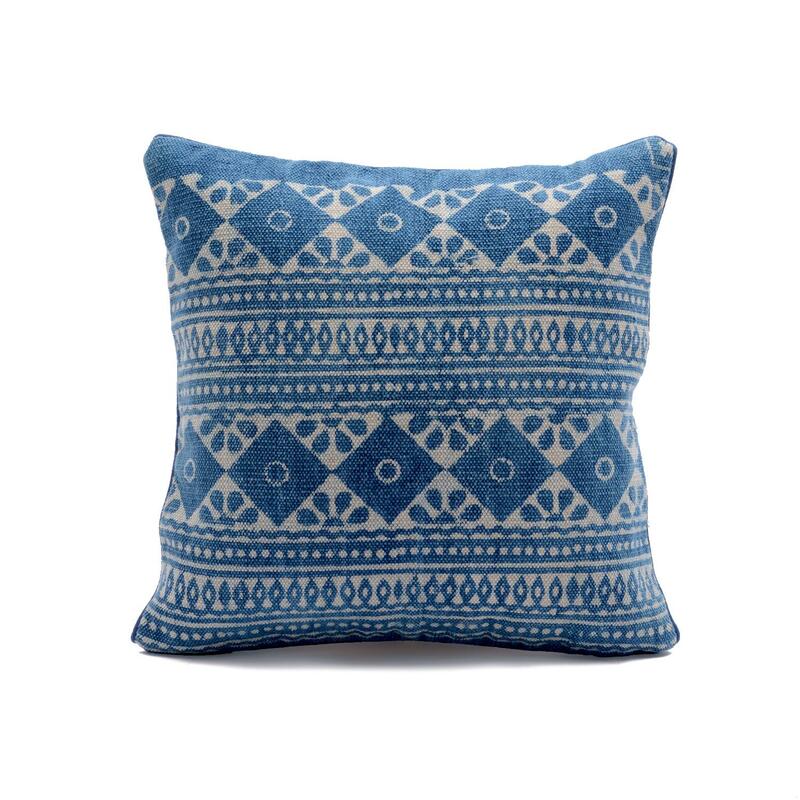 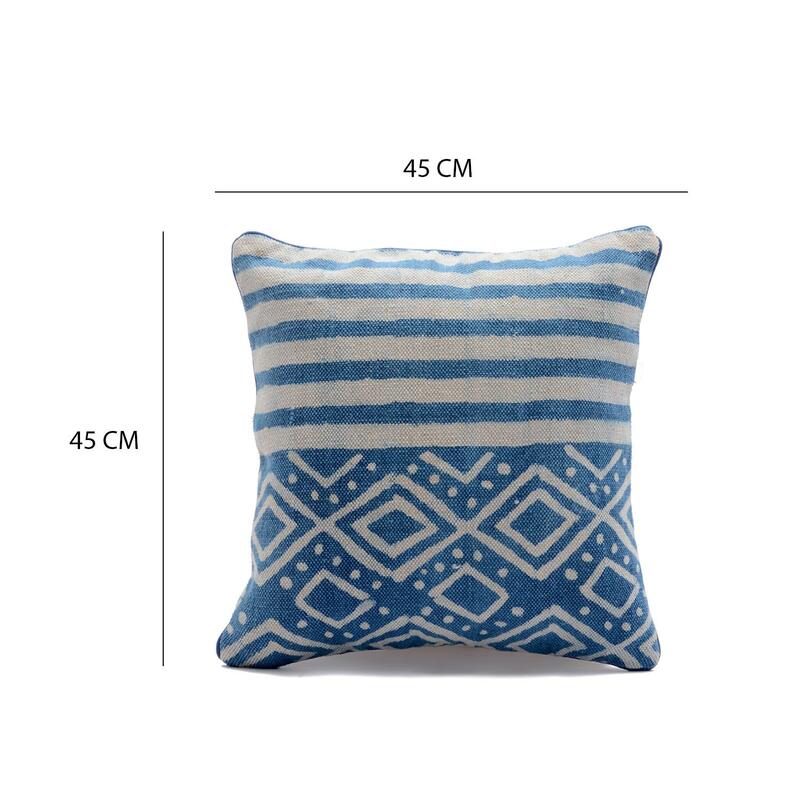 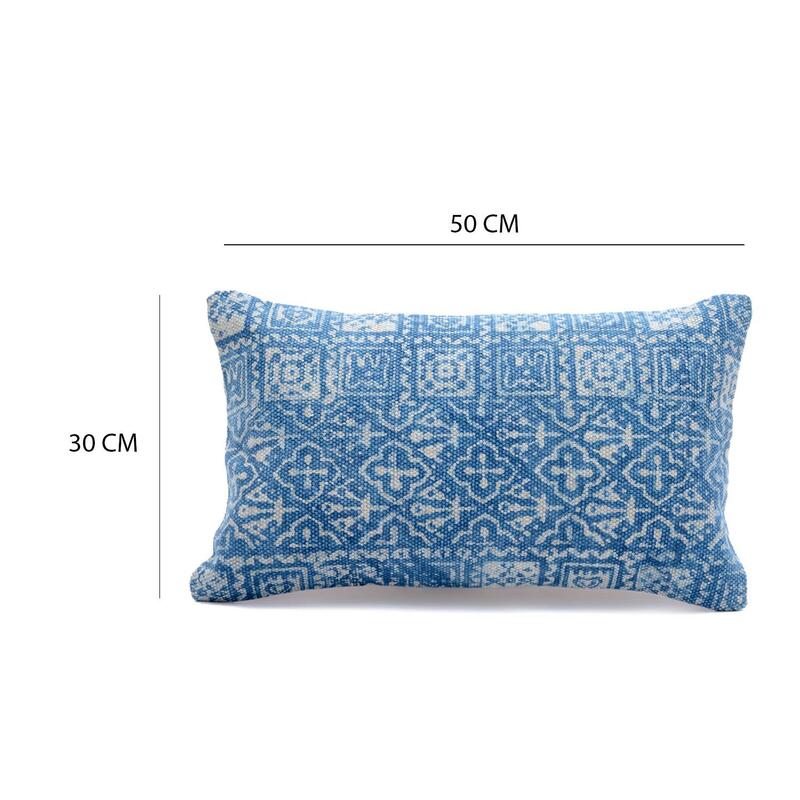 Checkered Design Blue Cushion Cover Size: 20" x 20"
Bring plush appeal and stylish pattern to any room in your home with this beautiful checkered printed blue cushion cover. 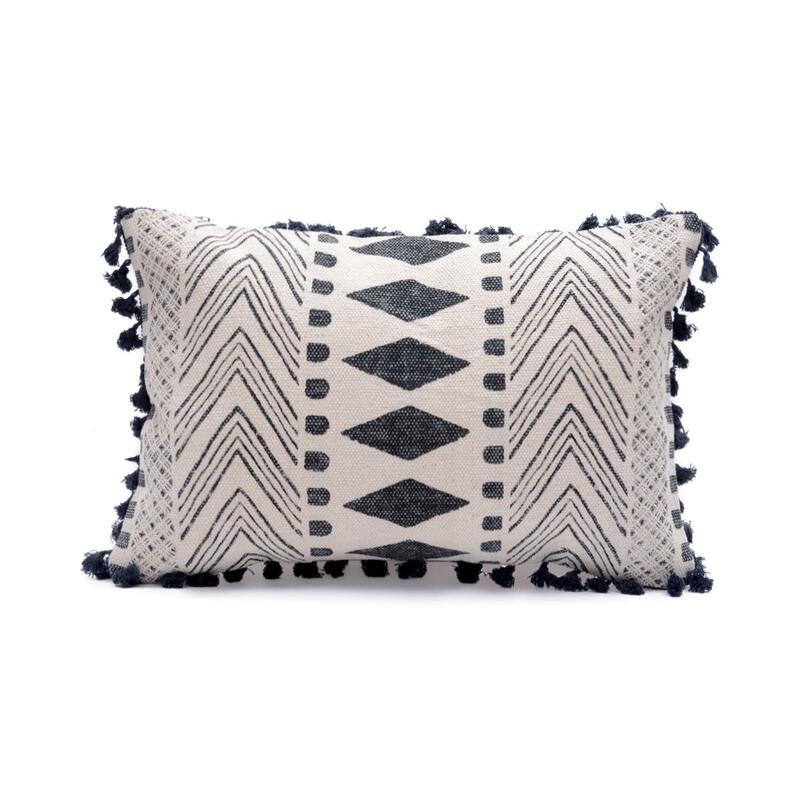 It creates style and flair in any room from your bedroom to your living room. 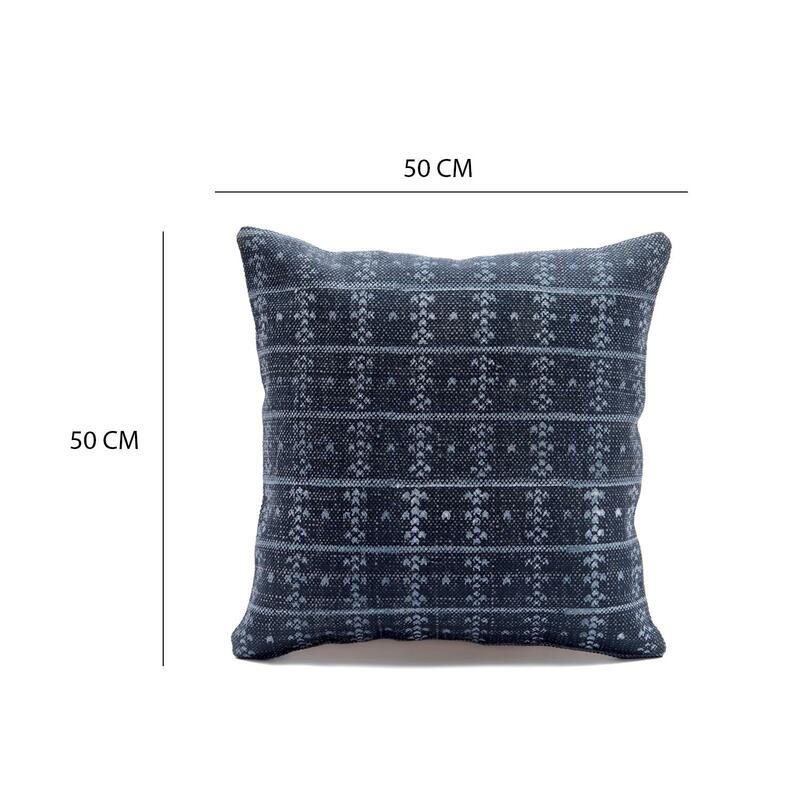 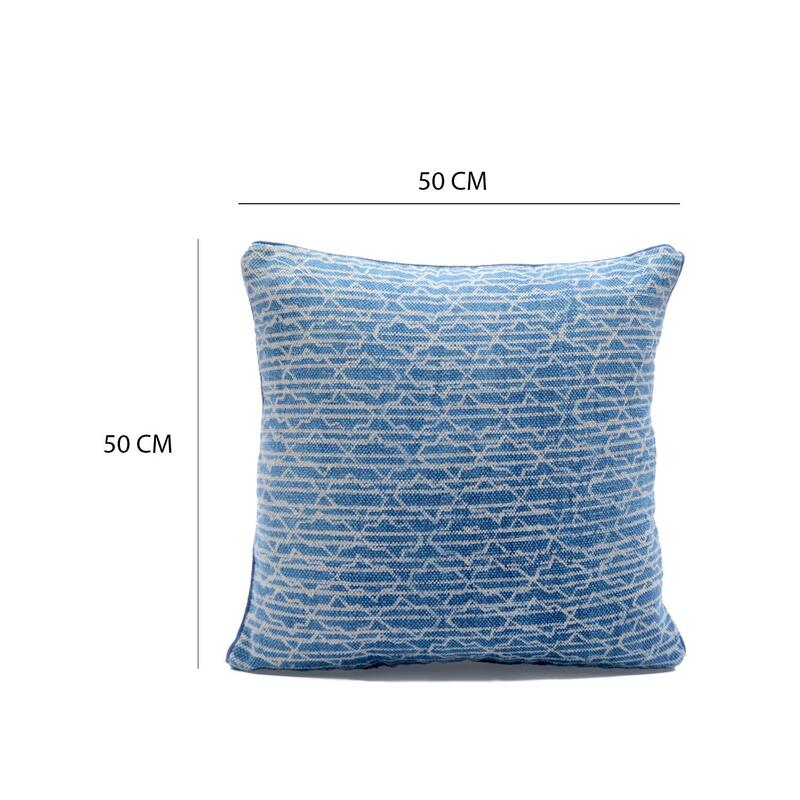 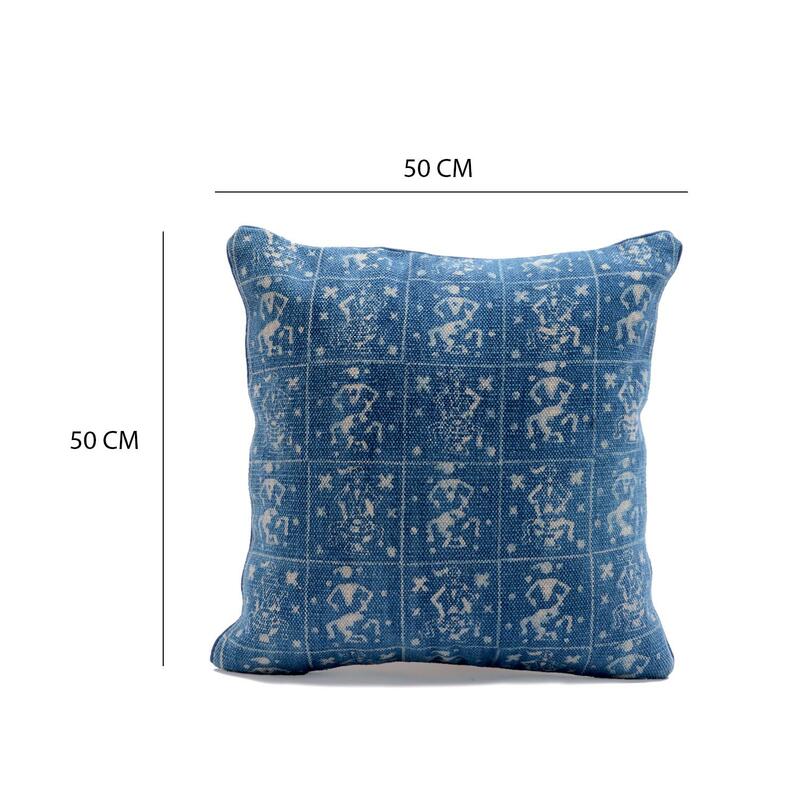 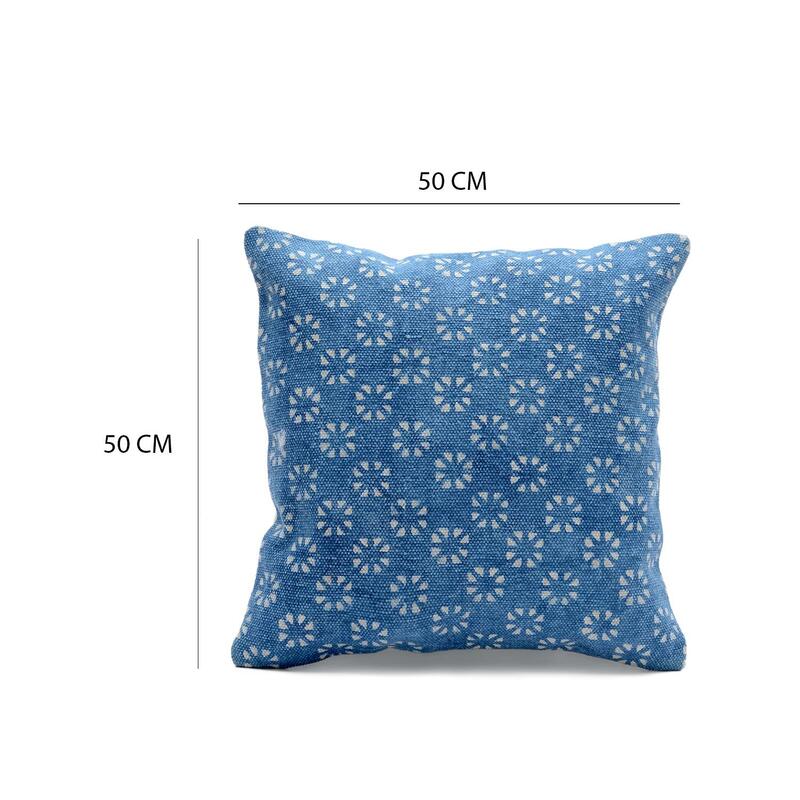 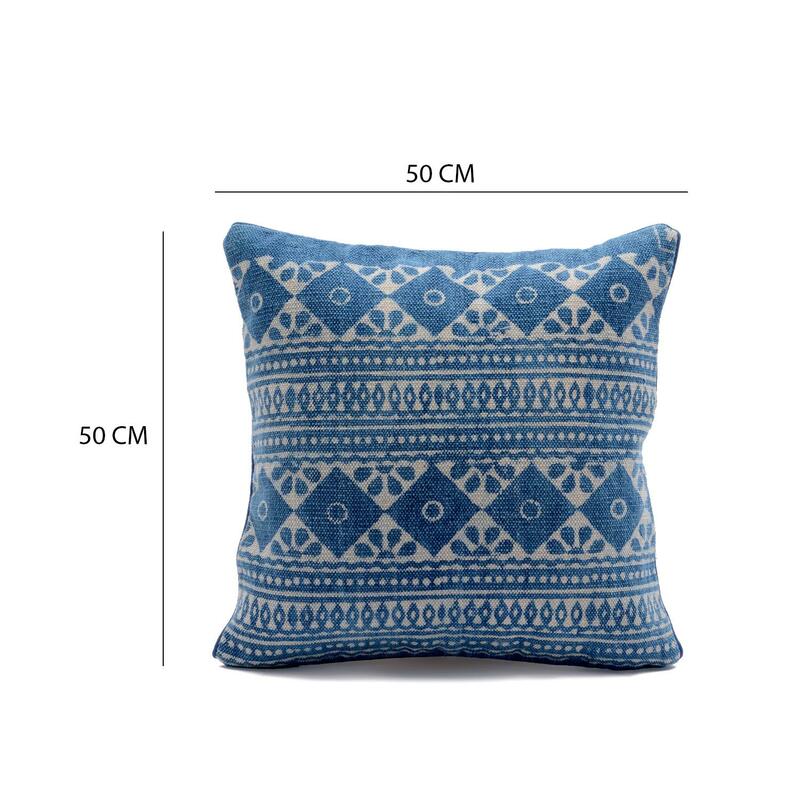 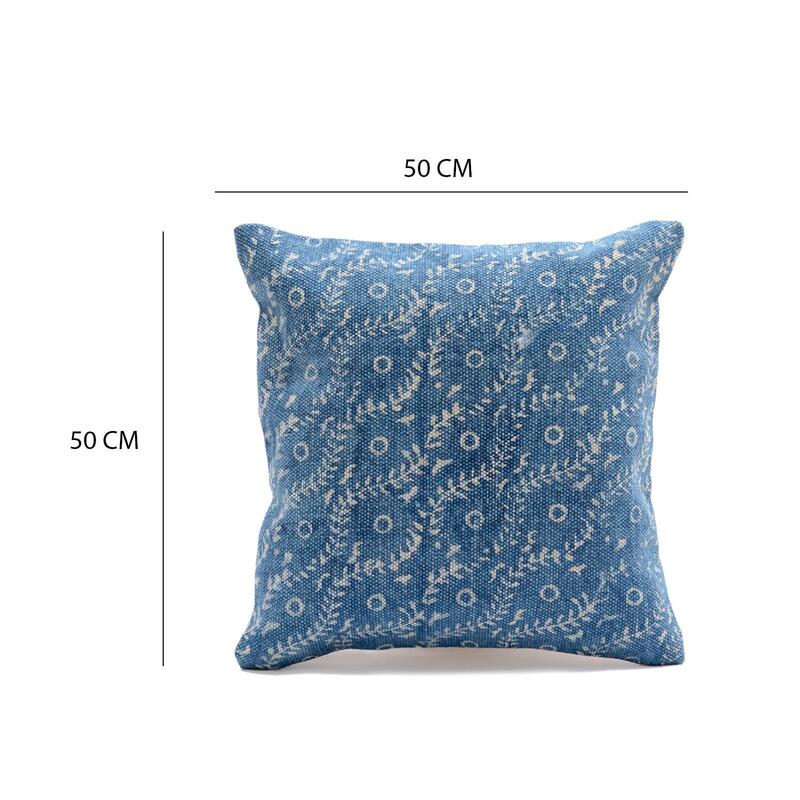 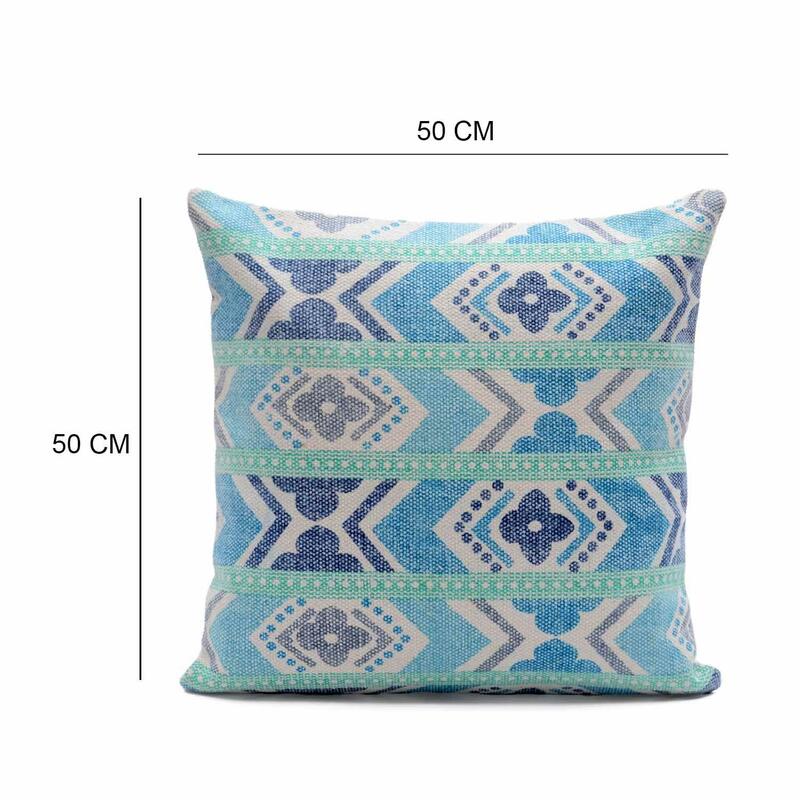 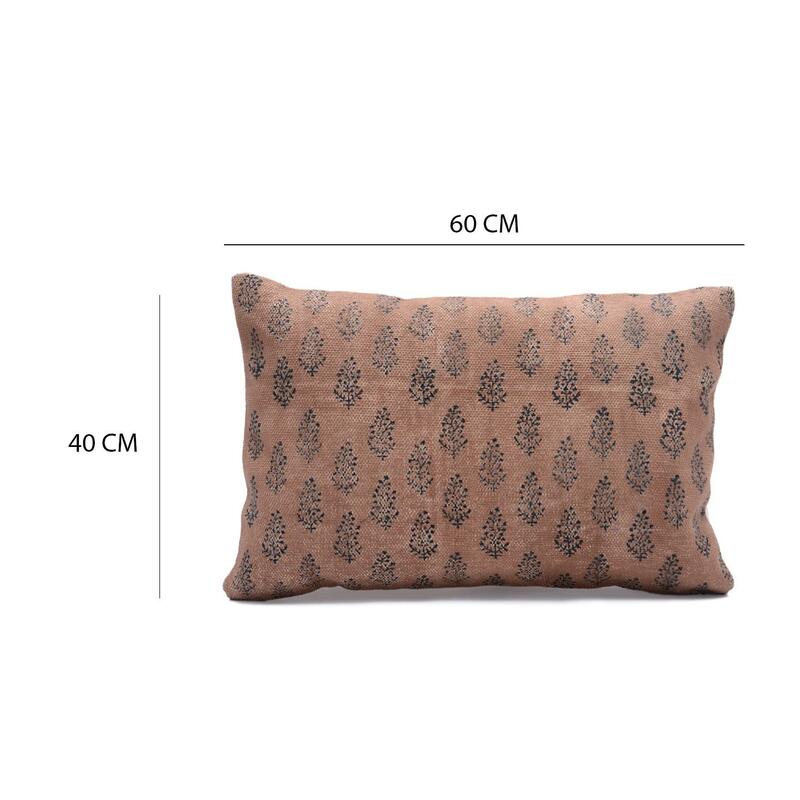 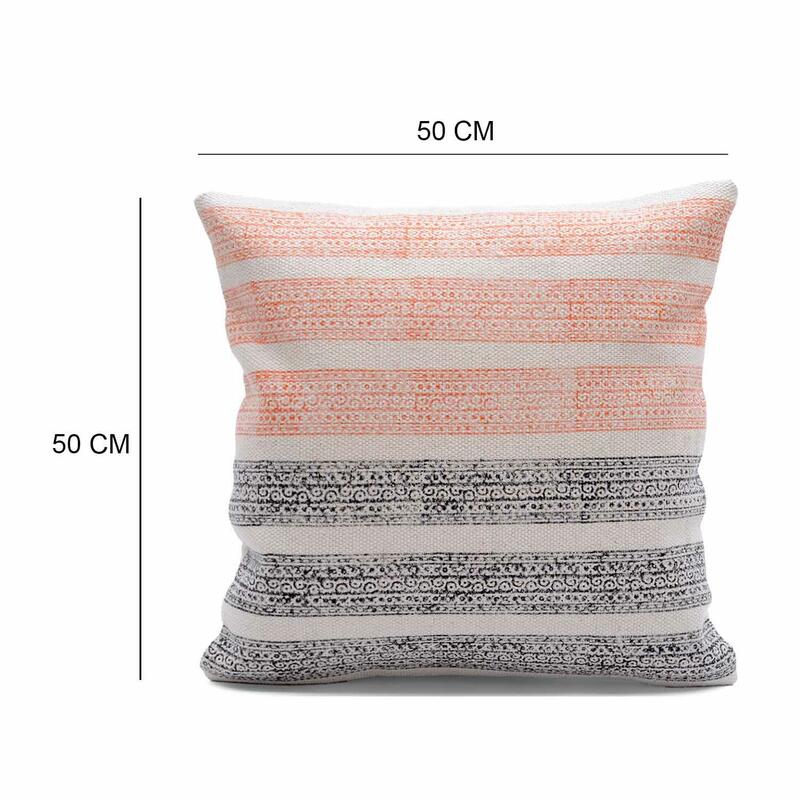 Make your room look all the more fashionable and elegant with this printed cotton cushion cover. 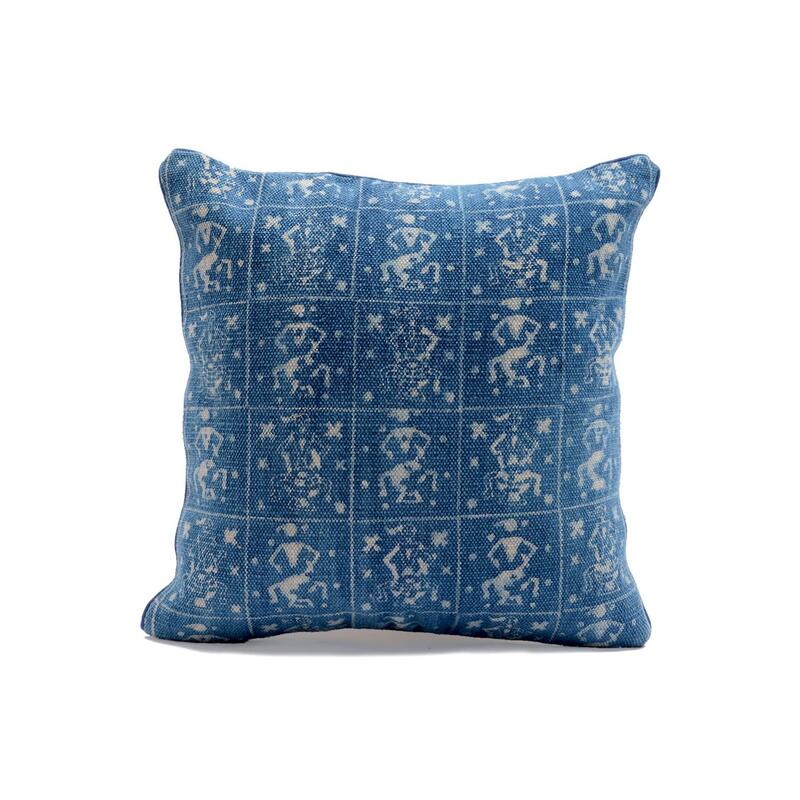 Created from high quality cotton fabric, this cushion cover will make a great new addition to any existing decor idea. 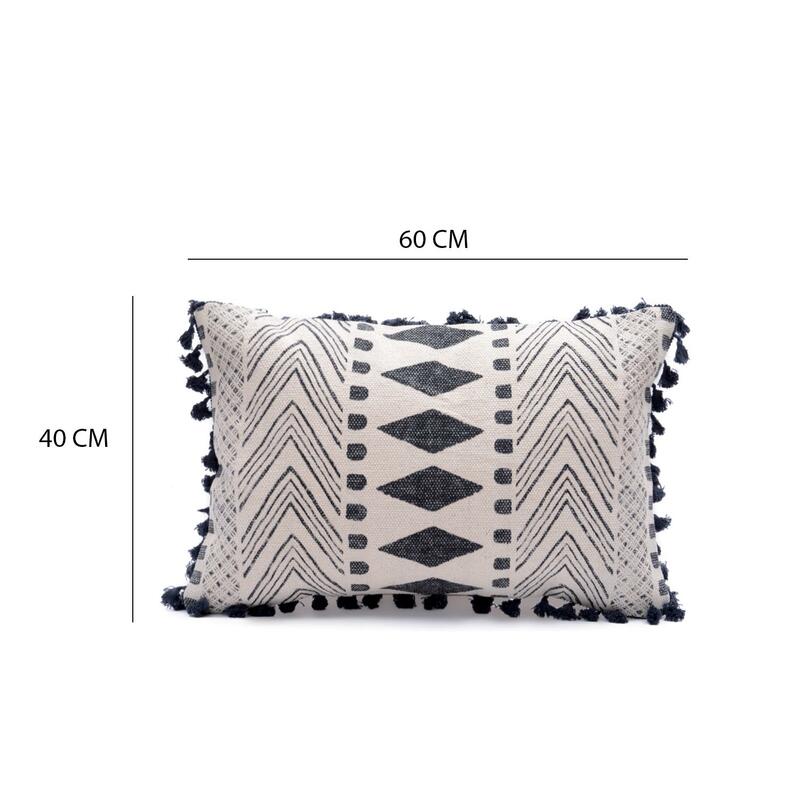 It will sure to add an exotic touch to any room in your home. 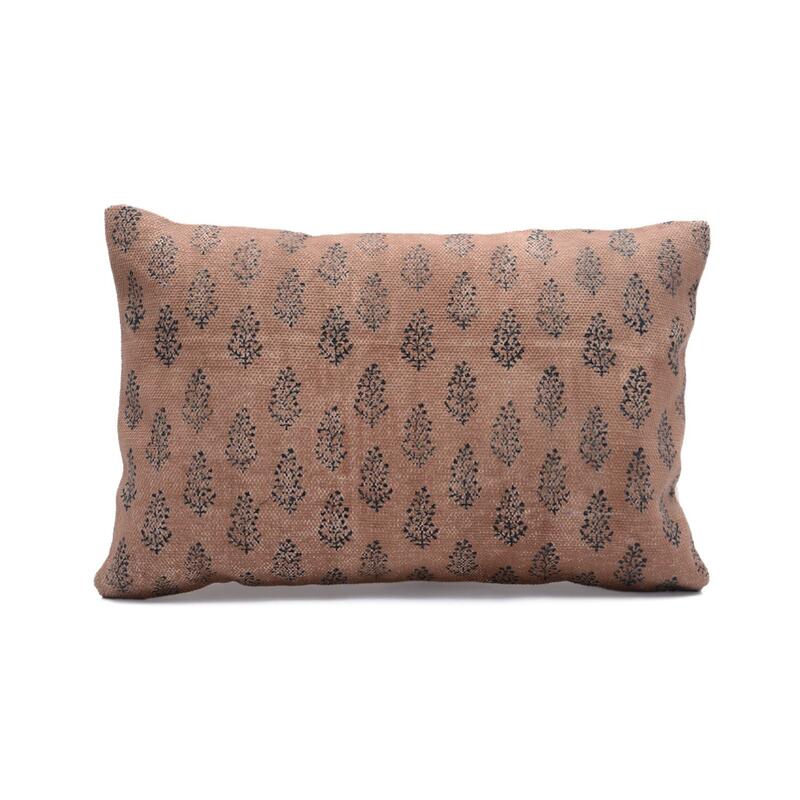 Simple yet classy, this designer cushion cover will surely become your instant favorite. 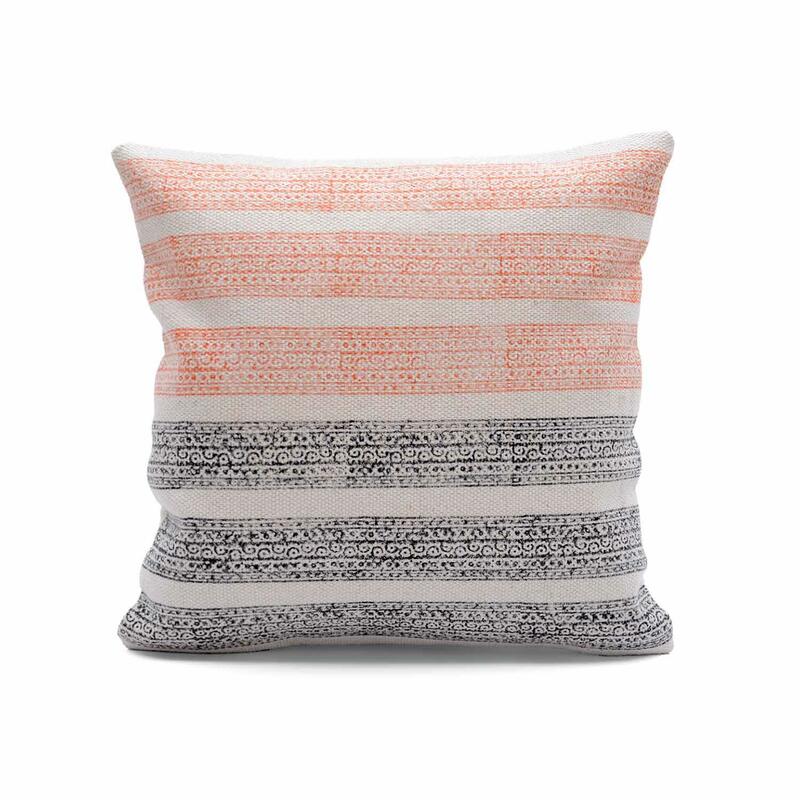 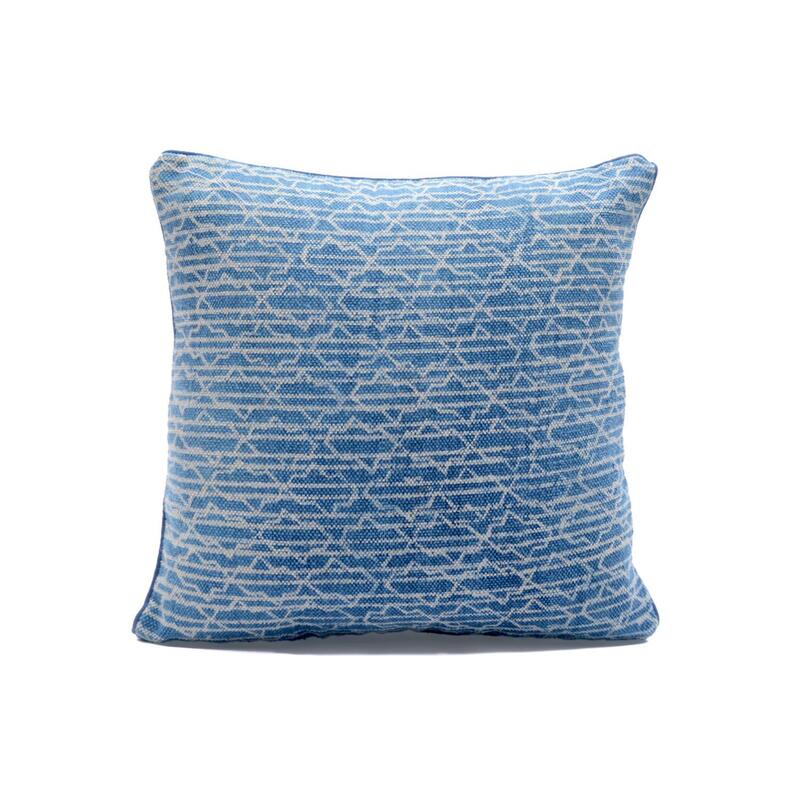 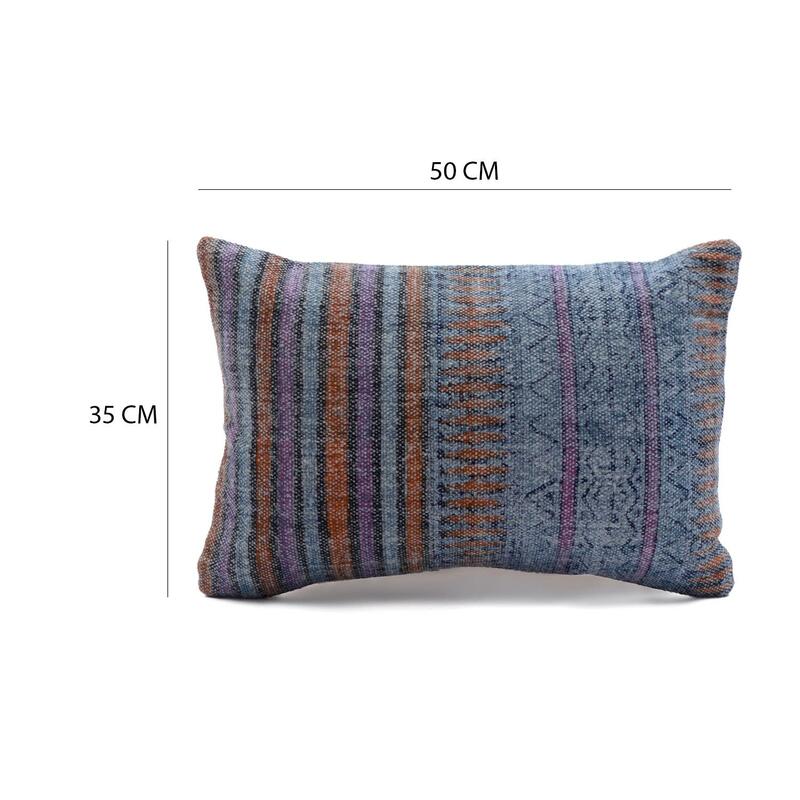 This delightfully colored exquisitely crafted cushion cover features faded stripe design. 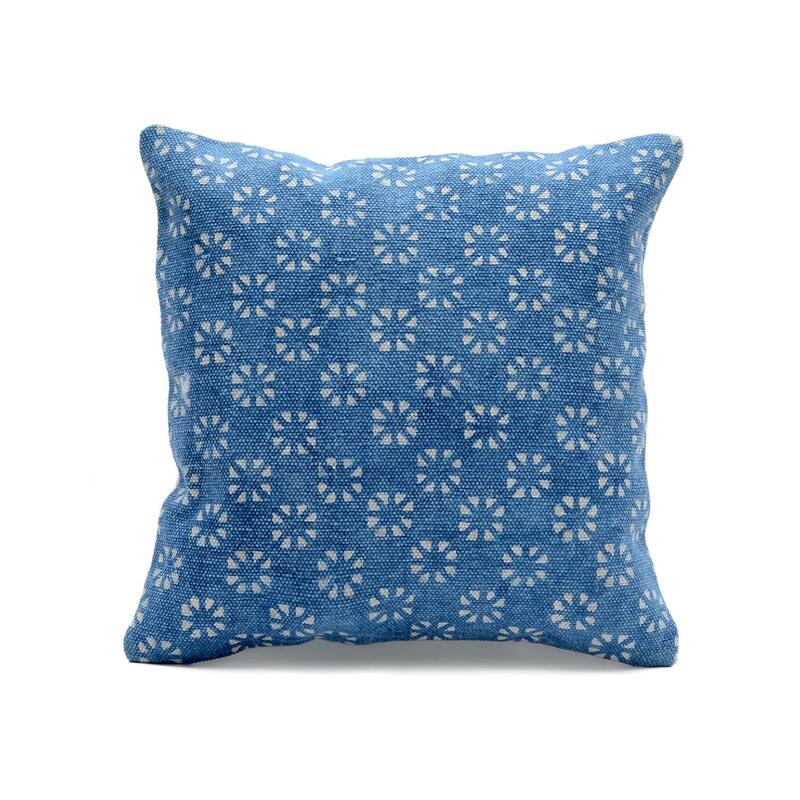 This cushion cover is manufactured in soft cotton fabric that makes durable. 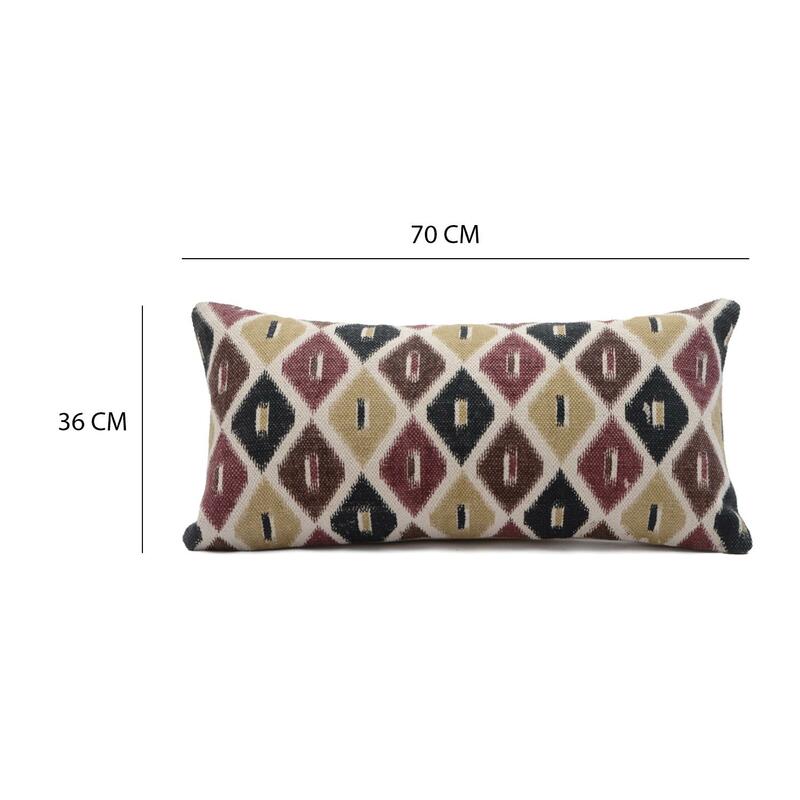 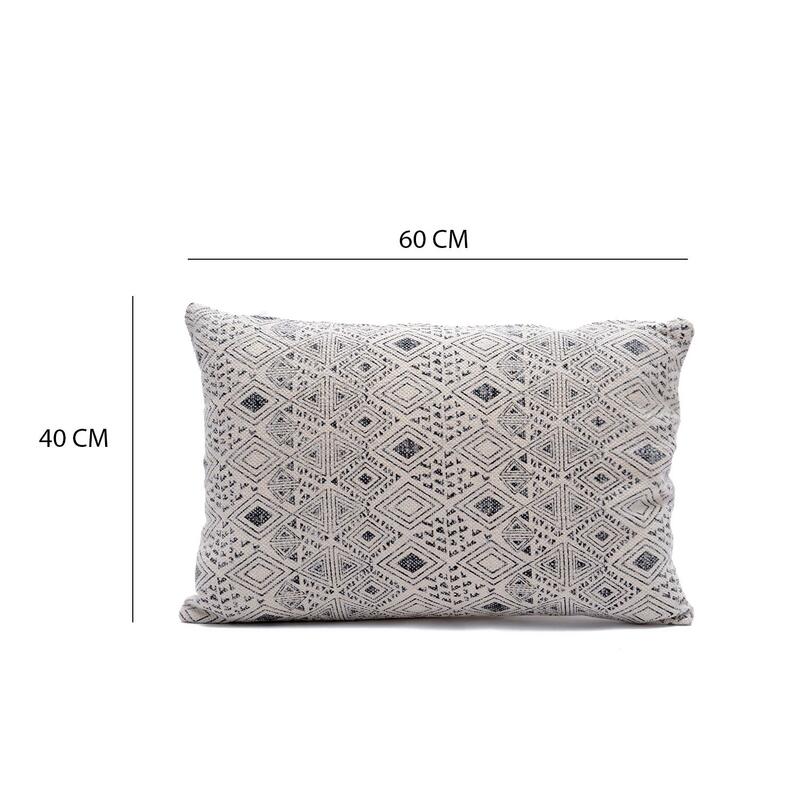 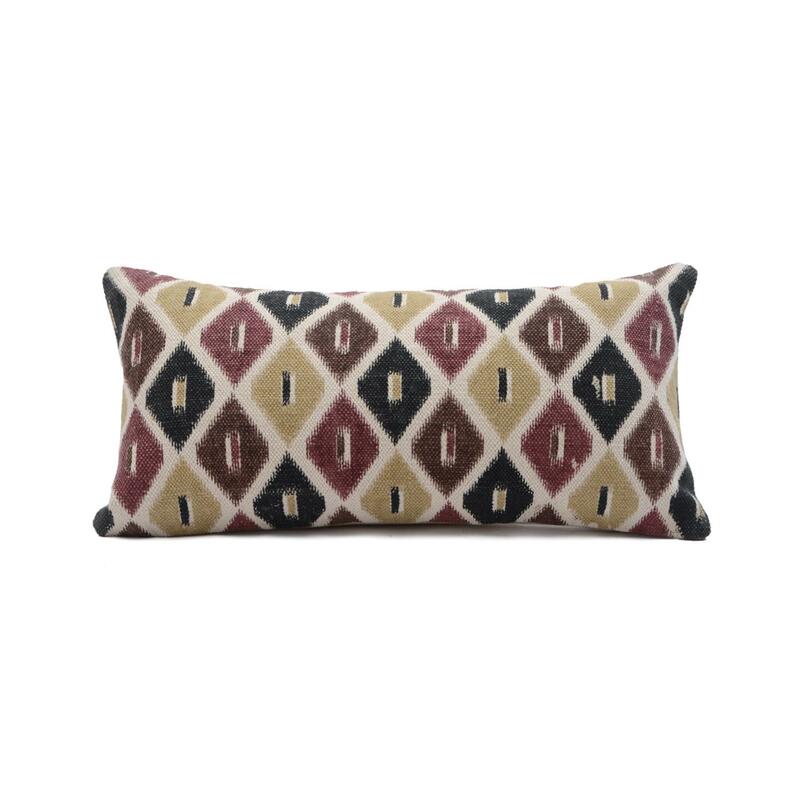 Grey Off white Printed Pillow Cover Size: 16" x 24"
This stunning and luxurious pillow cover features geometric patterns in grey color printed on off white background. 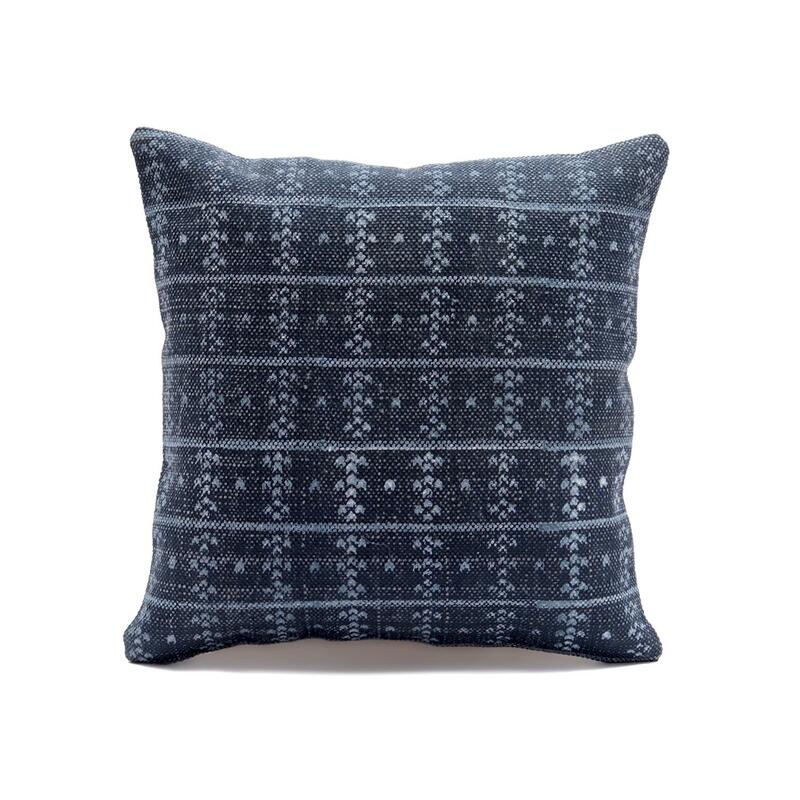 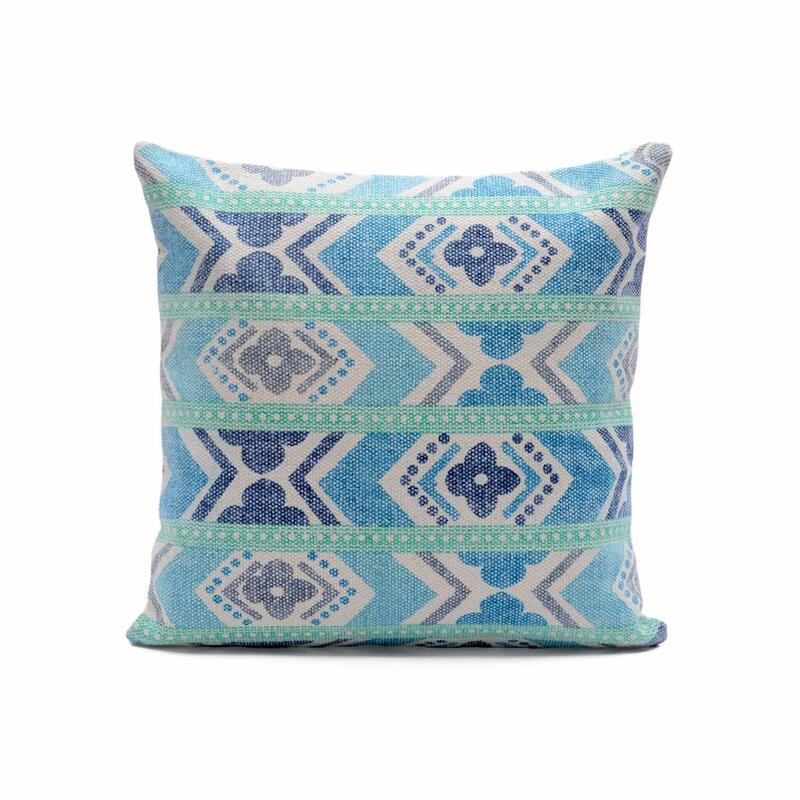 Made with 100% cotton, this unique and handmade pillow cover to give any room an instant update. 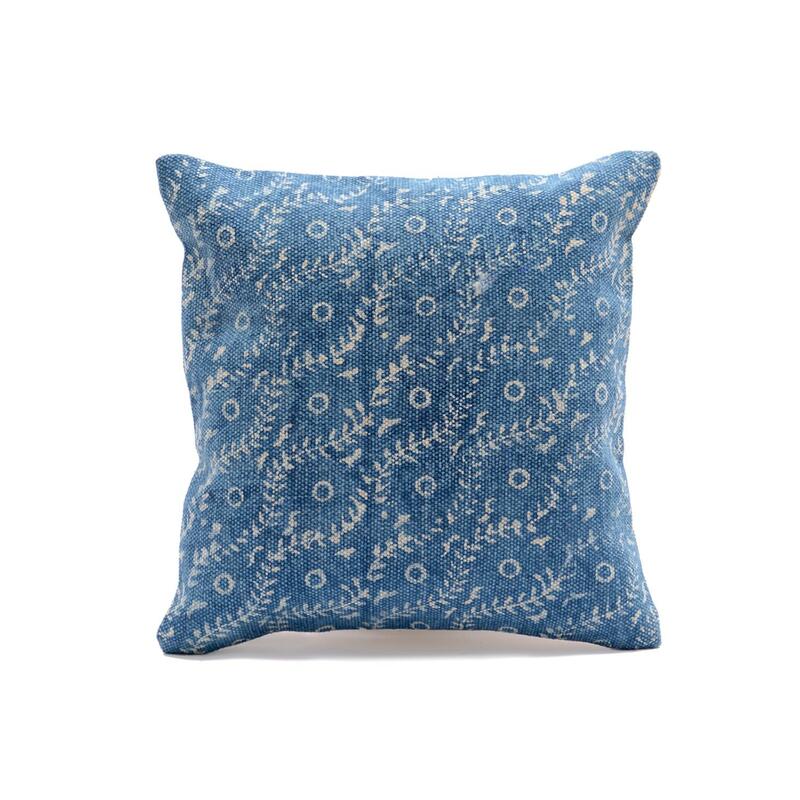 Hand Block Printed Pillow Cover Size: 14" x 20"
Give unique style to your interiors with this printed pillow cover and you can also be used as a gift for your dear ones. 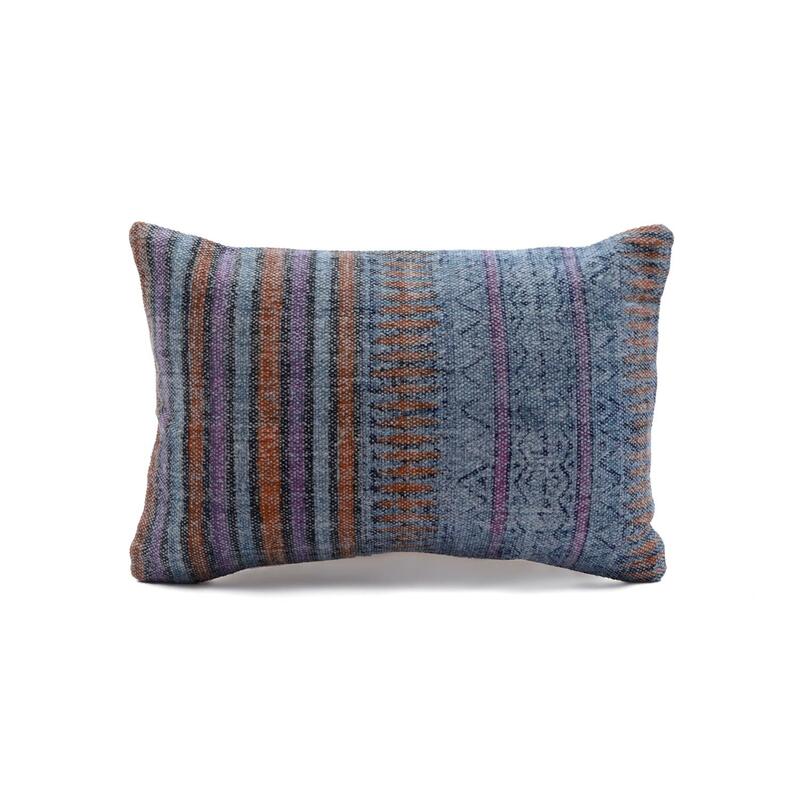 Flaunting shades of blue, orange and black, this pillow cover will add life to your room decor.